What could be more awe-inspiring than a super blood moon eclipse? Oh, I dunno, how about a super blood moon eclipse over a lightning storm? 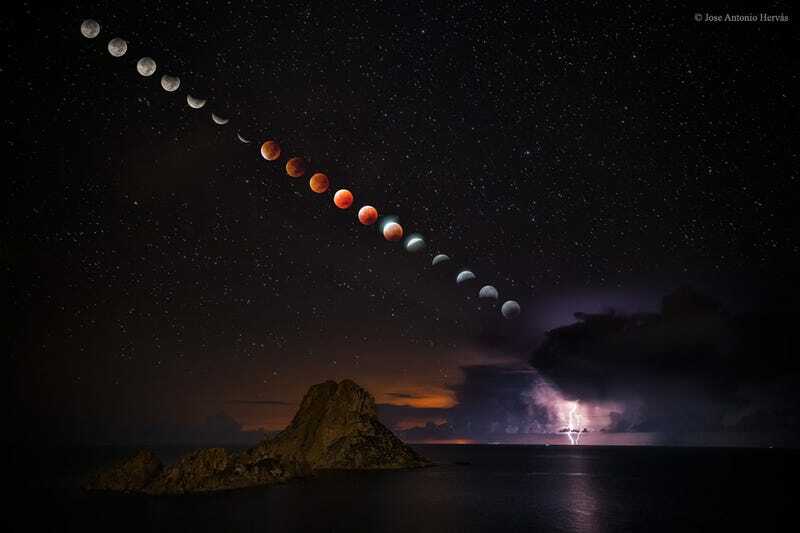 That’s the jaw-dropping scene photographer Jose Antonio Hervás managed to capture this past Sunday over Ibiza, an island off southeastern Spain. The image above was digitally constructed from over 200 individual photographs, all captured from the same location during the course of the rare astronomical event Sunday night. Soak it in, Earthlings–the next opportunity for a shot like this isn’t coming until 2033. Image reproduced with permission from Jose Antonio Hervás. You can check out more of his work on Vimeo and Facebook.